Netgear has been working overtime lately to insure that you have internet everywhere. Netgear’s Orbi promised to eliminate Wifi dead zones and give you a super fast internet connection. 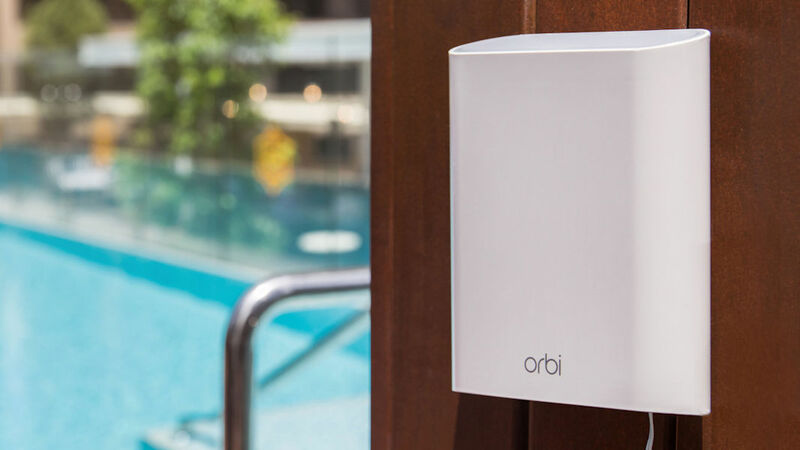 The new router is called the Orbi Outdoor Satellite and this one extends coverage to the outside of your house by up to 2,500 square feet. It has the same capabilities as Orbi’s Whole Home Wi-Fi System, including a single network name, a dedicated channel for data exchange between the satellite and main router, and a totally separate guest Wi-Fi network. Never be without wifi again, no matter where you are inside or outside of your home. The outdoor unit is weather resistant and is either free standing on its own or it can be mounted on your wall. The device features a night light that you can schedule to switch on or off at your whim, which comes in handy when enjoying your yard at night and surfing the internet or playing games. The Orbi Outdoor Satellite requires an existing Orbi Home Wi-Fi system, or the Orbi Pro Tri-Band Wi-Fi System. If you have a large yard, you’ll need multiple devices to expand coverage of course, but one should be enough for most of us. If you run a SMB, Orbi is perfect for that. A coffee shop, for example, usually runs their registers, customer WIFI, and work computers on one network. Orbi allows for multiple WiFi logins, bandwidth adjust, and an easy to change Wifi password. Customers will be able to work separate from the POS systems or other vital machines. The Orbi Outdoor Satellite is available for $329.99, with many configurations available for home and business. Purchase Orbi here.